Ever wondered about how bilingualism stimulates a child’s brain? Or worried whether children might get confused speaking one language at home and another at school? It turns out that bilingualism affects not only language skills, but also cognition, and even our emotions. This is a subject near and dear to my heart, as we are raising our two children to be bilingual in French and English. So many thanks to Fabrice Jaumont at the French Embassy in NY for organizing a fabulous event on bilingualism on November 3rd in New York. 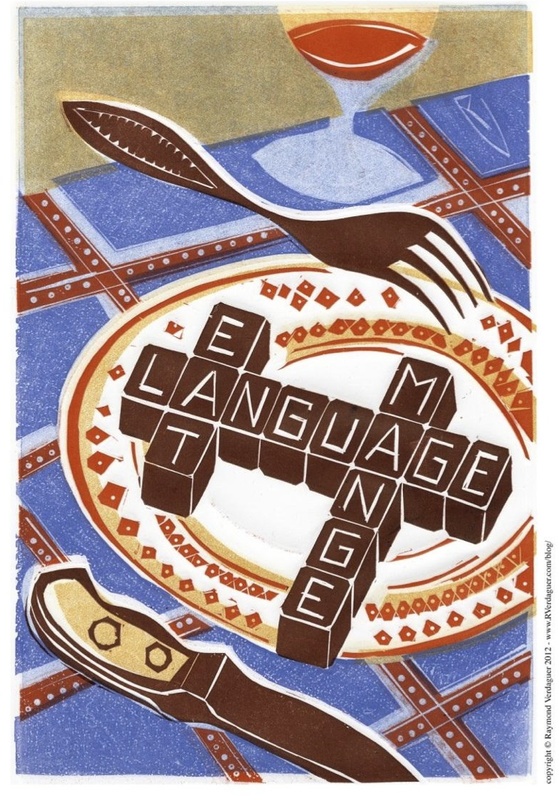 ‘Living in Two Languages’ is a full-day conference which includes a panel on ‘Bilingual Eating’ with a host of interesting guests (including Eric Ripert – of Le Bernardin! And yours truly–gulp!). For more information on the event, including registration details, here’s the Living with Two Languages – November 3rd 2012 – New York. The event will be live streamed, and I’ll post details about that in October. « Tabouleh, seasonal vegetables, fresh fruit: What French kids are eating for lunch….this week in Provence!